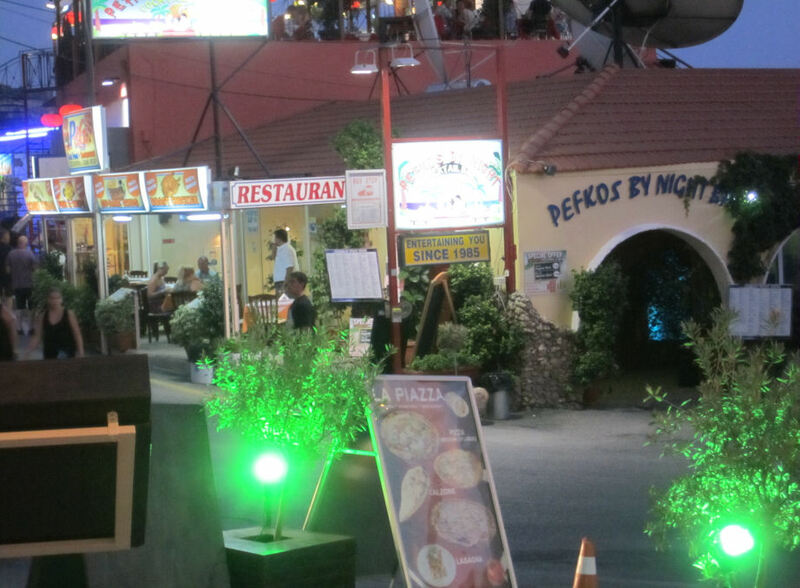 Pefkos by Night is at the junction of the Main Street, and the Lardos to Lindos Road. The bus stop is right outside. It's been a favourite music bar for many years, and is one of the original bars in the village. PBN is known for it's 80's music, live music nights and lots of tribute acts such as the Beatles and ABBA tributes. 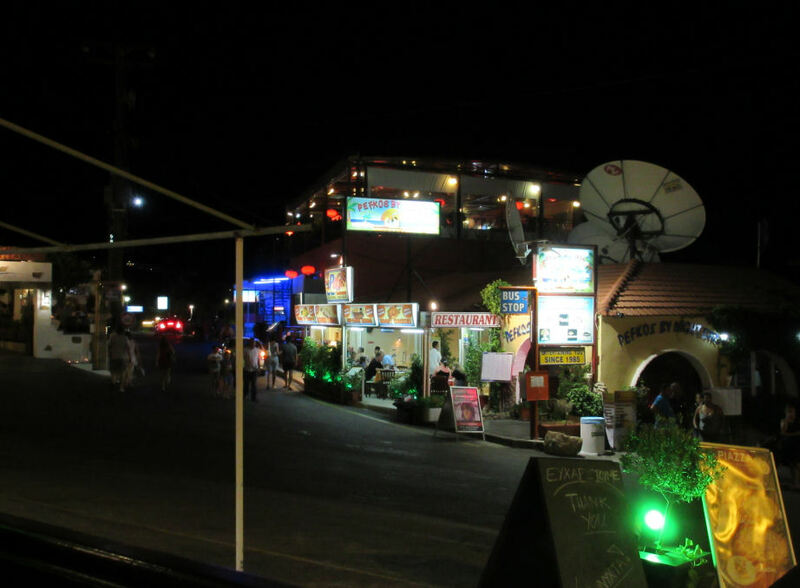 It's busy, lively bar from early evening through to the early hours of the morning. George, Yannis and Spiros help make this place what it is. PBN has really good air conditioning, and several internet PC's, making it an ideal place to call into during the day to cool down with an ice cold beer and catch up on Facebook!